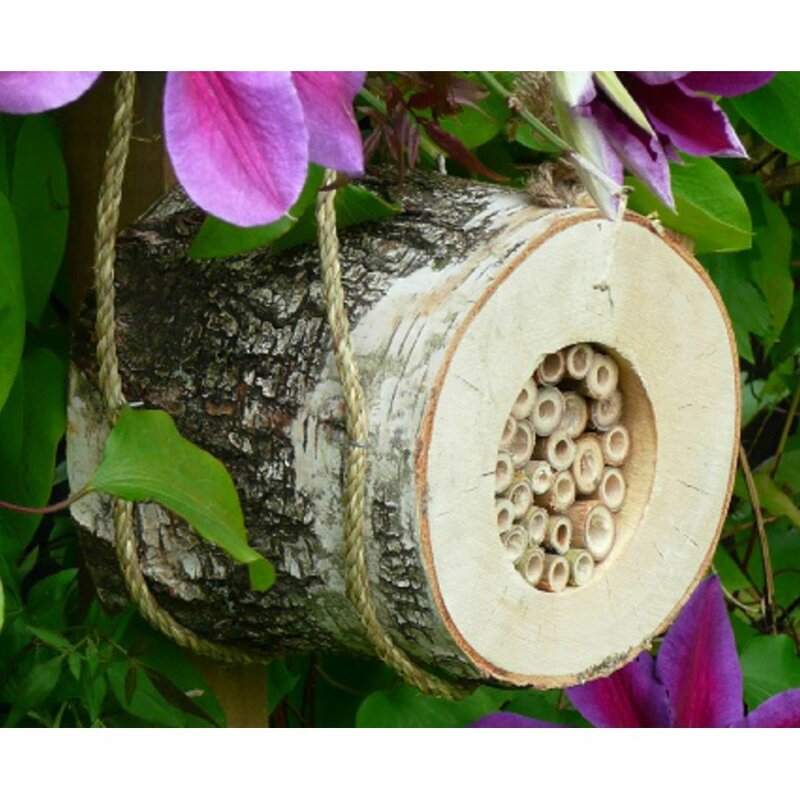 The pollinating bee log from Wildlife World is designed to encourage solitary bees to visit your garden and lay eggs. Solitary bees are non-aggressive and non-swarming, and they provide a great service by pollinating the flowers in our garden. It’s safe to entice them into gardens around pets and children as they do not work as a communal swarm. 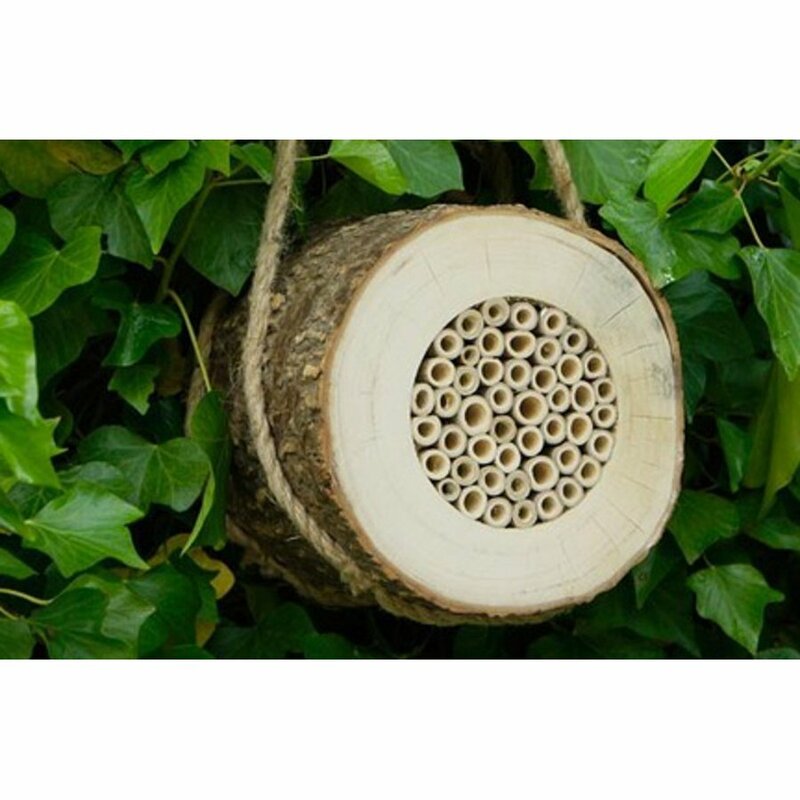 Made from an FSC certified timber log with natural bark and filled natural drilled canes where the bees can lay their eggs. 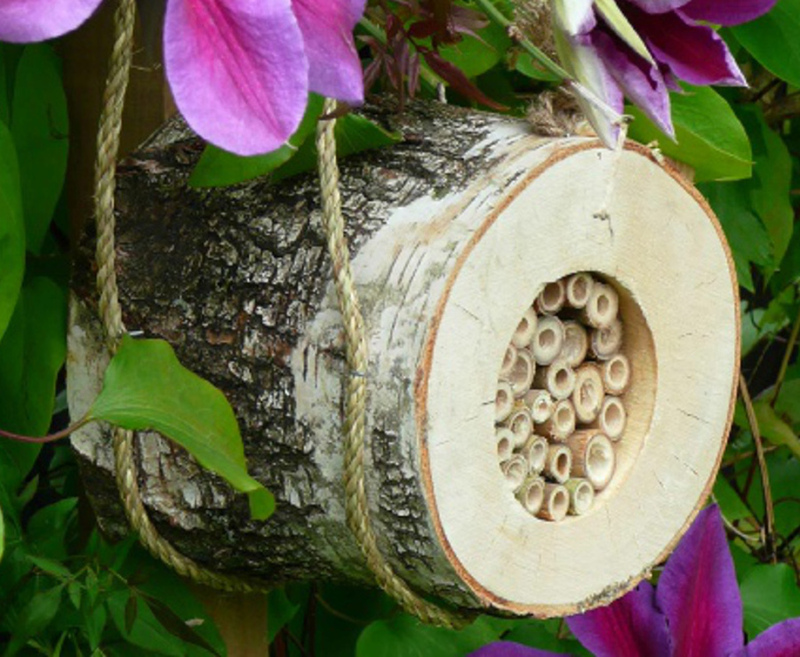 The natural bark provides good insulation for the developing larvae inside the tubes meaning the log does not need to be brought inside during colder months. The log comes with a natural sea grass hanging rope and should be hung on a wall, ideally between ground level and 1.5m. Choose a sunny position which preferably gets some morning sun, and try to hang the log against something firm and upright to prevent it swinging in mid-air. As this is a natural product, the appearance may vary due to seasonal availability or environmental factors. The Pollinating Bee Log product ethics are indicated below. To learn more about these product ethics and to see related products, follow the links below. 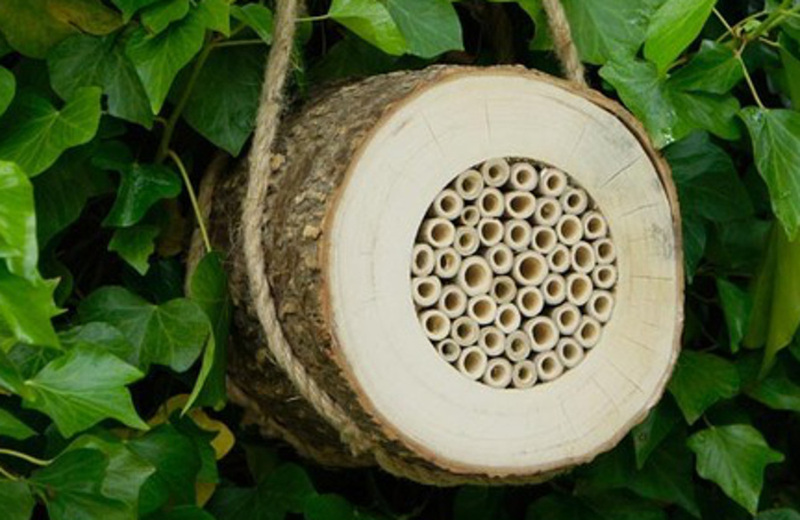 There are currently no questions to display about Pollinating Bee Log.